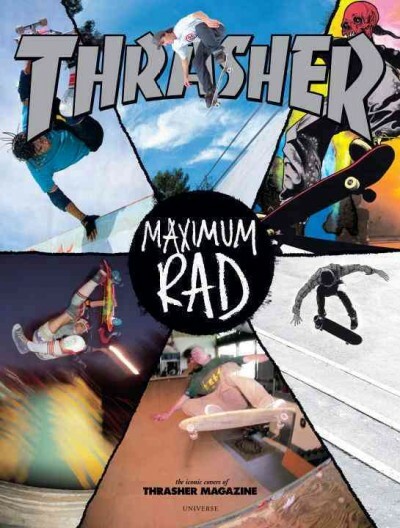 Thrasher Magazine marked 30 years of publication last April. To commemorate there was a special issues, bonus stickers, even a bunch of interviews on the Mag’s site. Now we have a pictorial history of the cover art and story’s to accompany the more colorful ones. I started my subscription in around December of 1994 after feverishly borrowing a friends back issues. After I moved out of the parents house my subscriptions became spotty as I was more transient. While collecting back issues is probably out of the question due to lack of apartment space, this seems like a sweet way to fill that empty spot in my subscription hood. This entry was posted in Skate History. Bookmark the permalink. hahah I actually remember owning all four of those issues when they came out back in the day, cutting them up and postering my room….